This is a typical tamil brahmin style pickle from Tamilnadu. This one is different from the kadugumanga pickle posted earlier. Castor oil - 2 tsp. NOTE: Usually, the ratio of salt is 8:1. But, personally I felt, when I use it for a year and more, the mangoes absorb all the salt by the end of the year and maavadu becomes too salty. Hence, I use 10:1 ratio and it is perfect even for 2 years. In general, any pickle will stay longer if little salty. However, chillies and salt can be used as per individual taste. Buy firm tender mangoes with long stalk. DO NOT buy the ones without the stem. The pickle will spoil soon. Cut the stalk, leaving a little stalk (1/4") in the mango and wash the mangoes well. Leave it in the water for half an hour. Take out and drain it. Pat it dry with a neat towel. (Measure now. This is the mango salt measure ratio). Put the mangoes in a ceramic jar (jaadi). Pour the castor oil and mix well till all the mangoes are coated with oil. Add salt and turmeric powder. Shake well OR turn it upside down using a dry ladle daily for 4-5 days. The mangoes will shrink. The salt will dissolve and become watery. Now, grind together dry chillies and mustard seeds to a fine powder and add to the mangoes and mix well. Again, shake well OR turn it upside down daily for another week. The solution should always be 2 inches above the mango level. Maavadu or Vadumangai will be ready to eat within 10 days. Store in a small bottle for daily use. Always use a dry spoon or ladle to take out the mangoes. Never use your hand. This can be used for a year and when refrigerated, can be used for a year or more. Goes well with curd rice and even sambhar saadam. i was waiting for...this only...perfect yumm this sunday am done.. Seriously u r killing me with ur recent posts, cant take my eyes from that irresistible maavadu..yumm! I am hoping these are around when I am visiting later this summer....look so tickling yum. thanks for the useful post.I am waiting for the vadu mangais to arrive to make urga. my fav with bagalabath...awesome presentation...sounds delicious Shanthi..
other than the mango, i like the watery part(mangajalam)very much ,esp with curd rice. Yum........ Save some for me Shanthi. Mouth-watering mango pickle. We have it in our drafts, recipe is different though..
delicious. love it so much just in the picture. drooling here..
Love this. The look itself is mouthwatering. My favorite,love it with curd rice! Tempting picture.My curd rice is not complete without this pickle. hey shanthi.. I am so happy to pass my awards to u.. pls collect them..
Wow....looks very delicious!!! Even i want to try out some with curd rice / ghee rice...thanks for posting!! Maami - enna blog la idhu oorga season ah? Super Super! 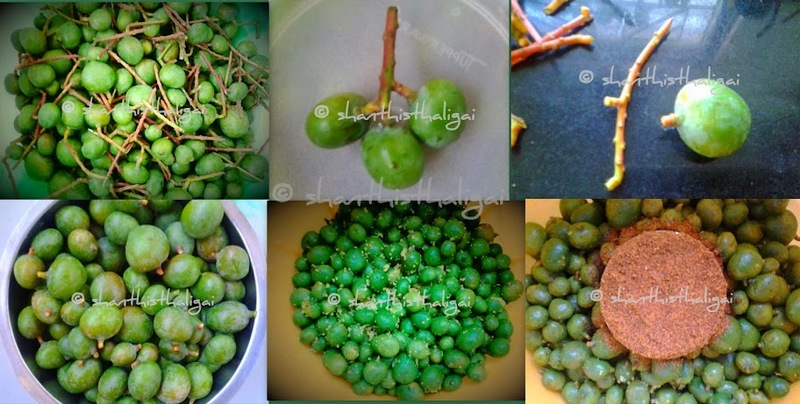 really superb..very helpful ..ur photo made me mouth watering..
real taste....waitying for summer.......because of mavadu seeson. where can I find maavadu in Los Angeles? any idea...? I am drooling at the flavours of maavadu. have to make my batch for this year. Did not know we had to add castor oil! any other oil which can be substituted with castor oil?